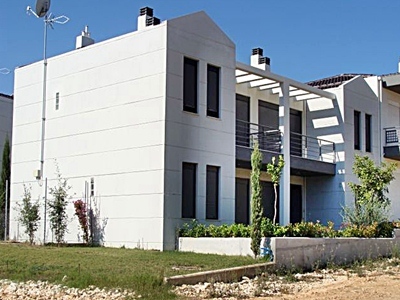 This new house was built in 2008 and is 237 sq.m. 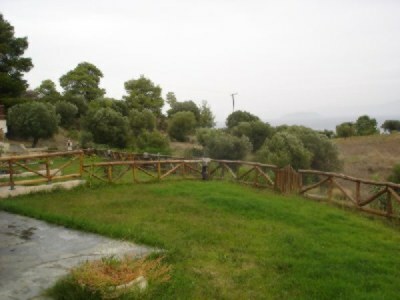 in area, and in a garden plot of about 1000 square metres. 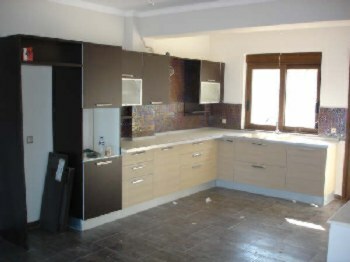 It has 5 bedrooms, 2 bathrooms, a big kitchen and living room, 1 big and 1 small store room. 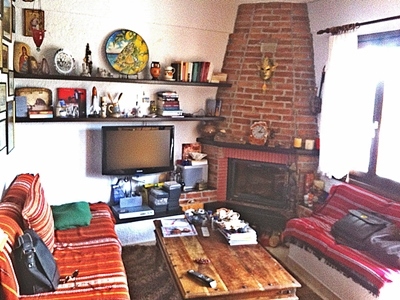 It has also heating, a fire place, a BBQ, and a parking place for many cars. 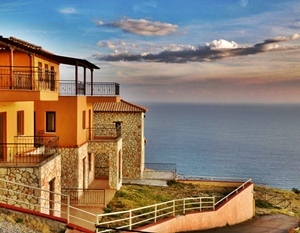 The distance from the sea is about 250 m.
The balconies are very large with amazing views of the sea and over looking the mountain. 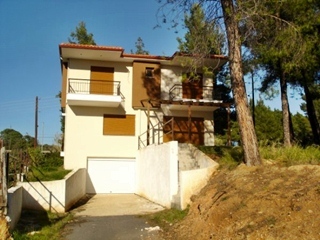 This is a two storey detached house in a plot of 1.150 sqm., with a semi – basement converted into flat. 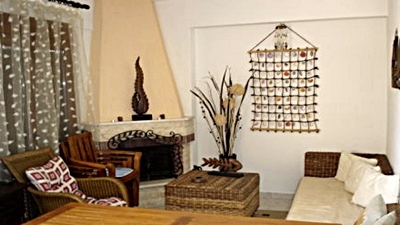 The property comprises of four bedrooms, living room with a fireplace, kitchen, two bathrooms, WC, wide verandas, storage and central heating. 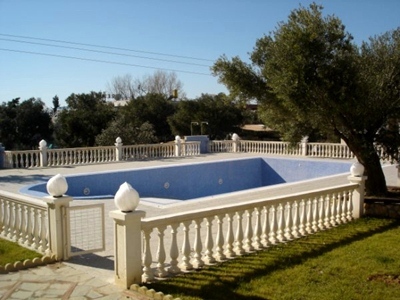 The property is positioned in a stunning area and is to be sold with all the furniture and electrical appliances in perfect condition. 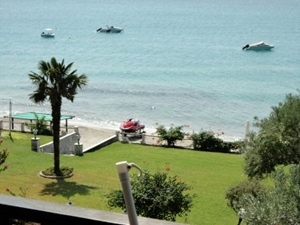 This second floor apartment sits in its own grounds beside the sea, only 10 metres from the sea side. 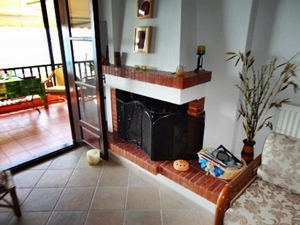 This second floor apartment is in a charming location directly on the sandy beach. 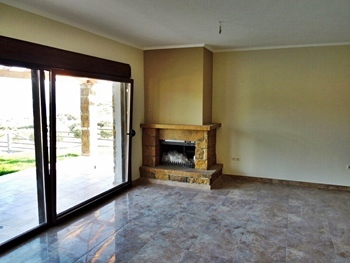 It has a large living room-kitchen with fireplace, two spacious bedrooms and bathroom. 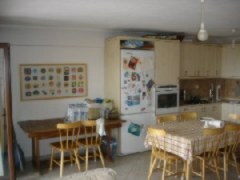 Located in a complex with large communal garden and parking area. 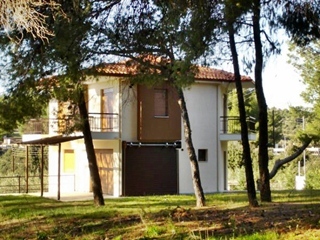 It also has heating, solar and the price includes furniture and electric appliances. 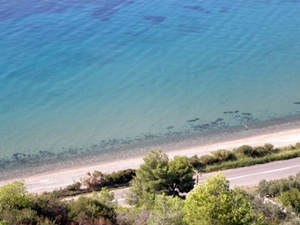 The views at the sea and the pine forest are magnificent! 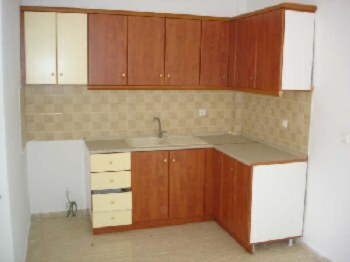 To be sold with all the furniture and electrical appliances, practically key in the door. 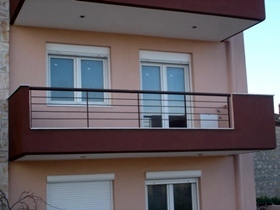 For Sale :- 3 Ground Floor Apartments : 3 Small Maisonettes : 2 Large Maisonettes With Basement and 1 Large Maisonette Without Basement. 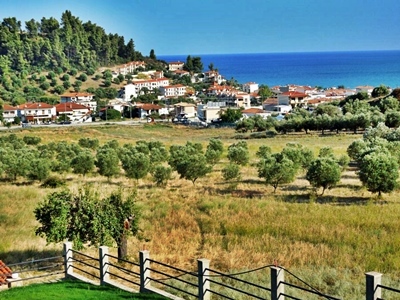 The rest of the residences have been sold in this well established complex, only 400 metres from the sea and 300 metres from the village centre. 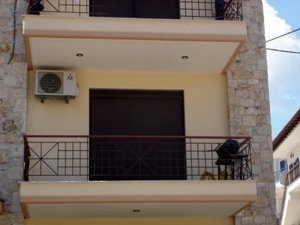 All the apartments come with Shielded entrance door : Mosquito screens : Satellite and Terrestrial Antenna : Fireplace : Kitchen furniture ( Without electrical appliances ) : Sliding Door Wardrobes : Air Conditioning Wiring in each room. 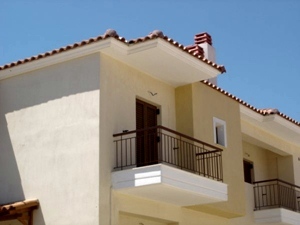 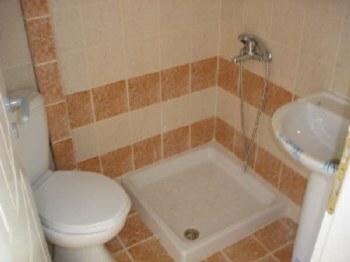 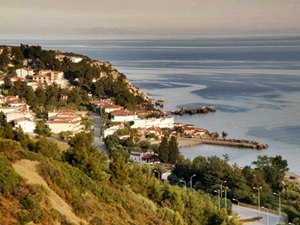 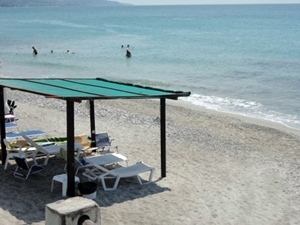 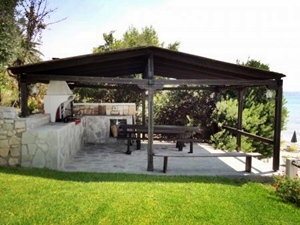 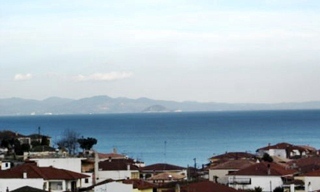 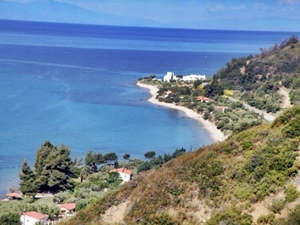 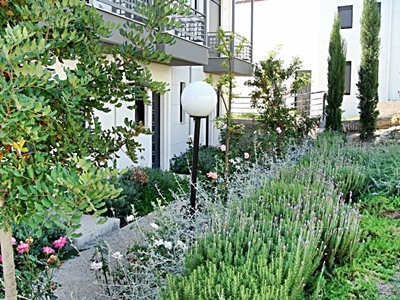 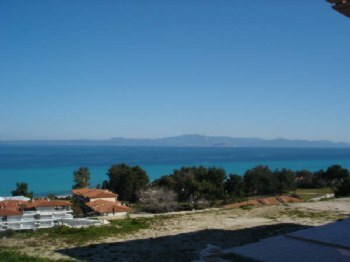 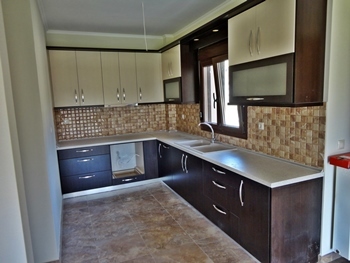 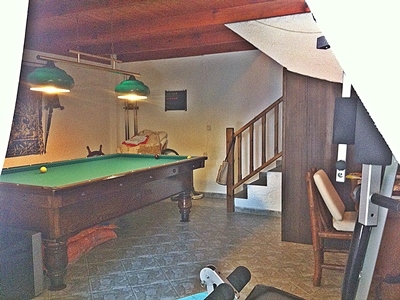 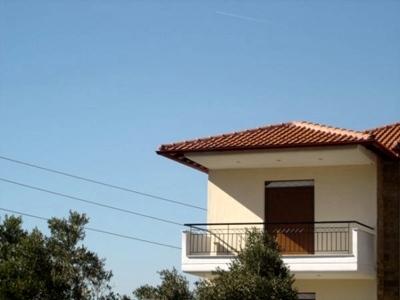 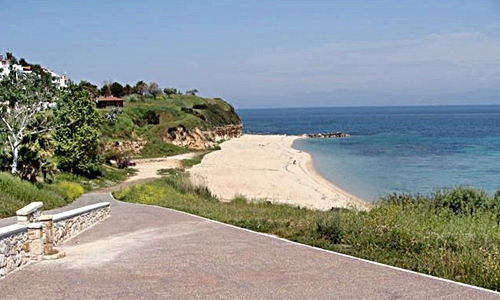 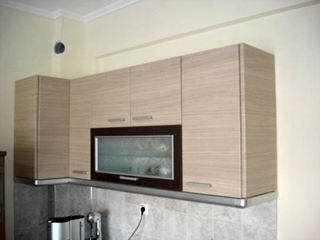 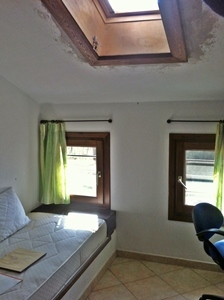 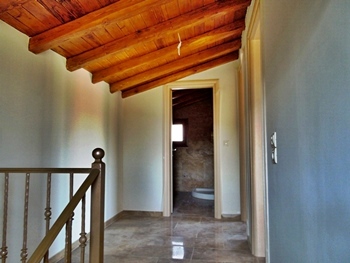 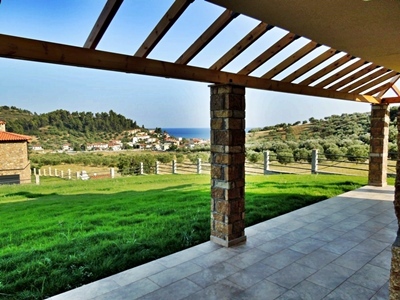 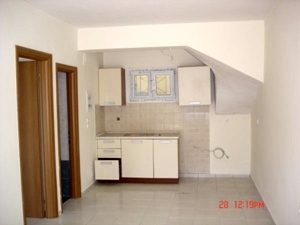 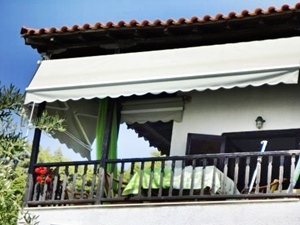 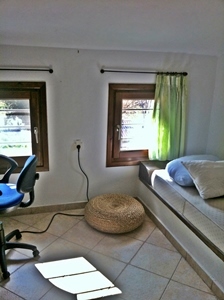 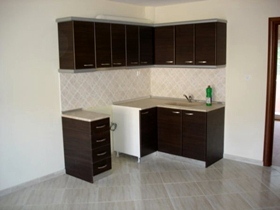 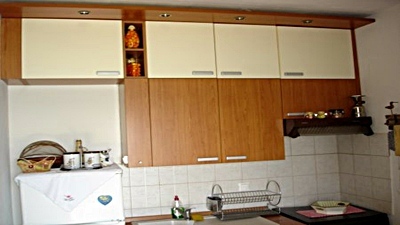 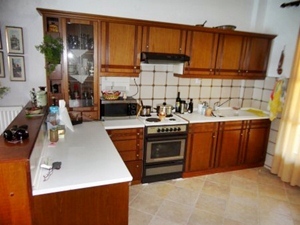 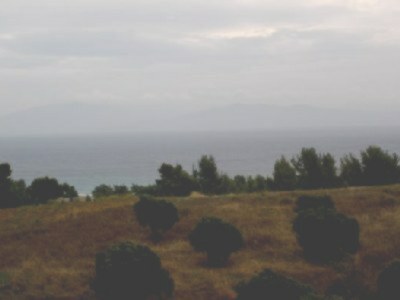 This maisonette is in a very good location in Halkidiki about 300 meters from the sandy beach. 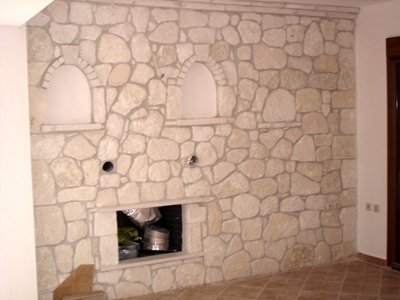 Was built in 2004. 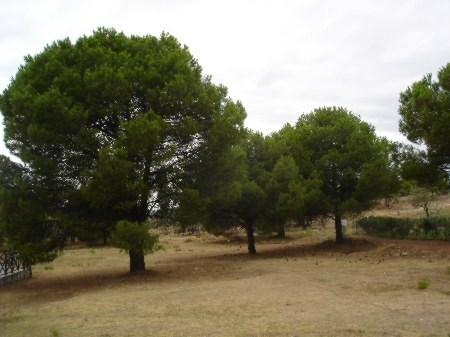 The area is very quiet and has a lot of pine trees around. 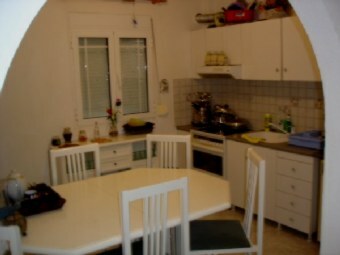 Is about 130 sq.m. 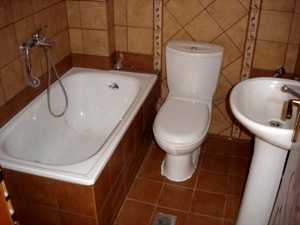 and has 3 floors. 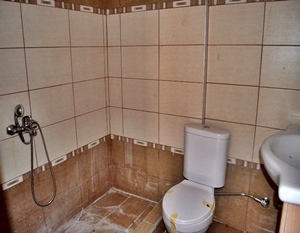 In the ground floor is a big living room-kitchen and a small wc. 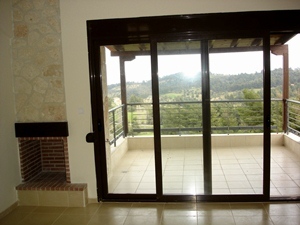 Outside is the store room. 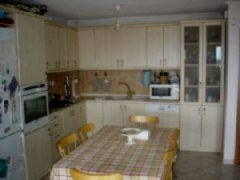 Kitchen has all the electric appliances. 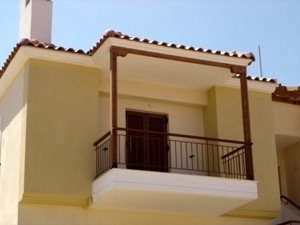 In the first floor are 2 big bedrooms and a big bathroom : Outside is a big balcony with amazing sea views and view of the second peninsular On the second floor is a big bedroom with a private bathroom, and a big balcony outside with amazing view as well! 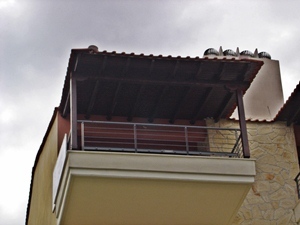 This maisonette is in the corner of this complex of the houses. 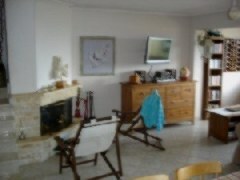 It also has a fire place, central heating, a garden plot in front and in back of the house, and parking area for 4 cars. 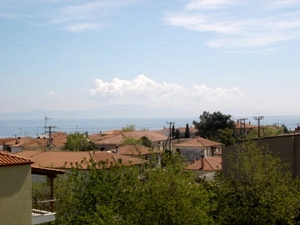 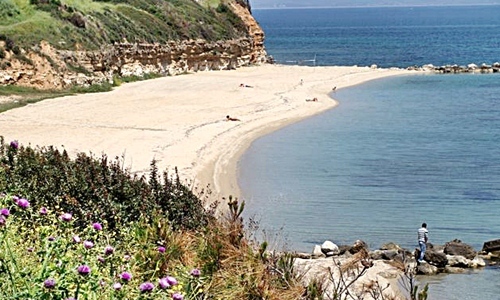 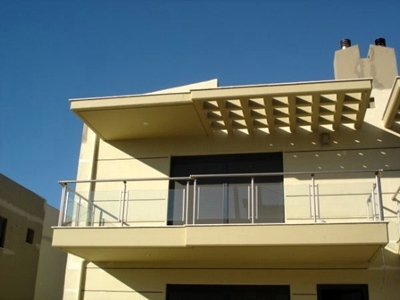 This maisonette built in 1997 is built on two floors and is about 50 metres from the sea. 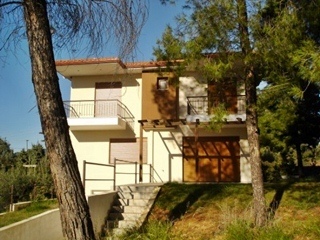 On the second floor are three bedrooms and a big bathroom. 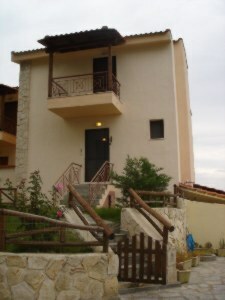 On the first floor is a big living room-kitchen and a small W.C. 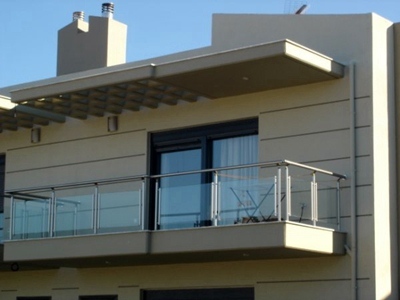 Both floors have big balconies. 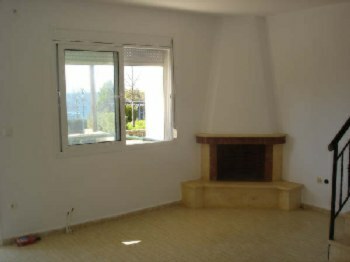 The maisonette also has a fireplace, heating, and a parking place. 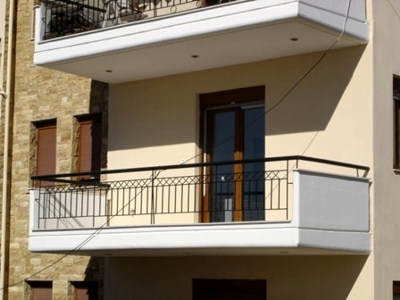 This new maisonette is built on two floors and is about 50 metres from the sea. 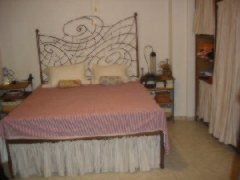 It has 2 big bedrooms a W.C., 1 bathroom and a living room / kitchen with fireplace. 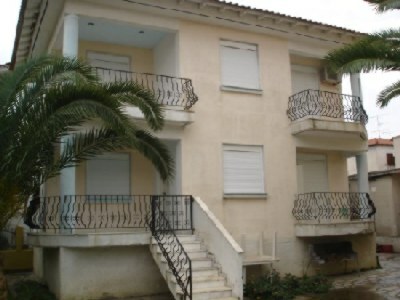 This Building Plot is 4,000 square metres with a small house of 75 square metres and is only 400 metres approx from the sandy beach in Vourvourou. 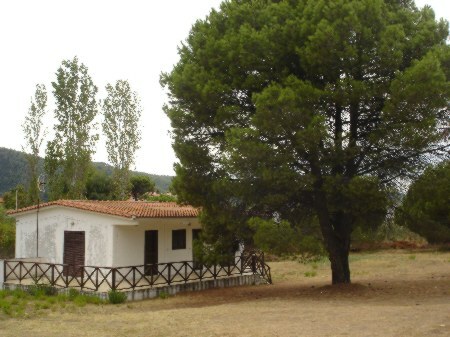 A very good location with many pine trees around. 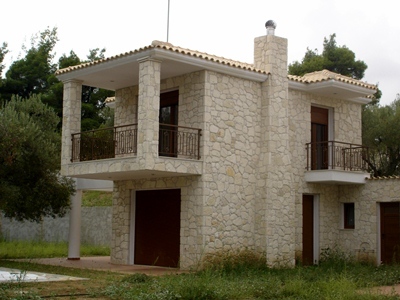 This Building Plot is 4,000 square metres in area building allowance is 200 square metres. 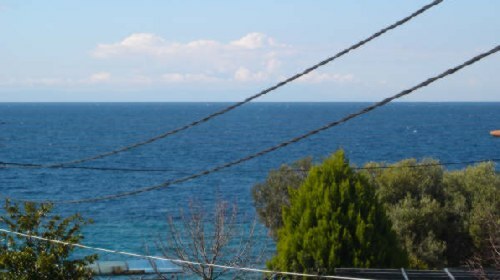 Close to the central road, Nice Sea View. 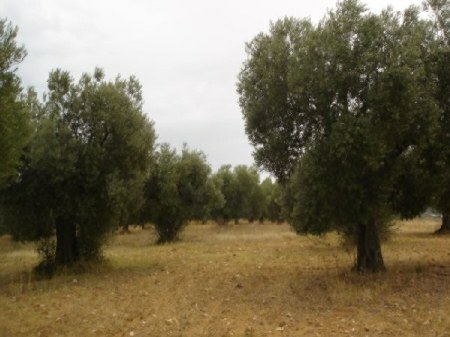 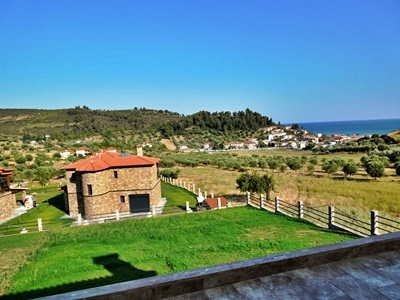 The land is 4,000 square metres in a very good location in "Ormos Panagias" The building allowance is 200 square metres, and comes with simply amazing Sea Views. 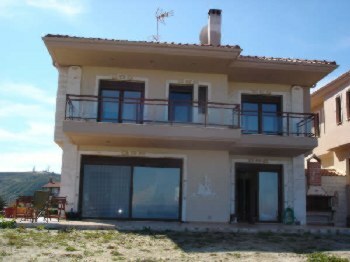 Two storey maisonette 96sqm located in conglomerate with 6 other dwellings but totally independent : 50 meters from the sea. 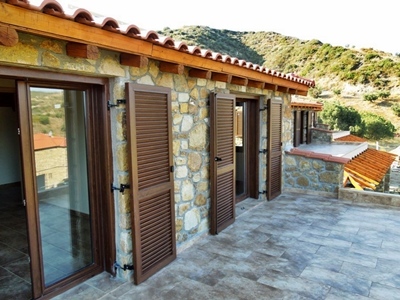 The timber of the window frames and shutters are of chestnut : In addition : The fireplace is of excellent construction and operation : The house has individual heating radiators : Air-conditioning in the bedrooms, and built-in beds and loungers. 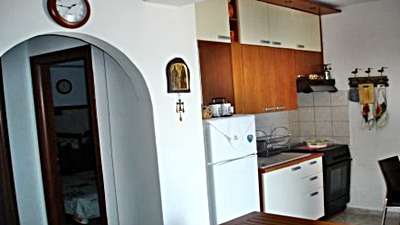 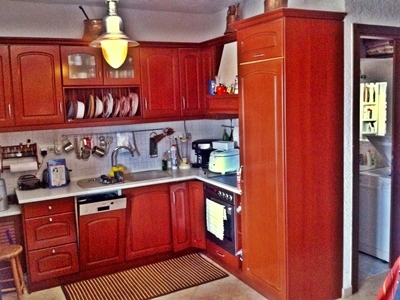 The kitchen is electric fully equipped (4 lcd tv, white appliances Siemens (inox), flush-mounted) : There are 2 Fitted wardrobes and loft storage : The floor is of hardwood : Manufacturer ( Petach Suva ) : All furnishings are in accordance with the traditional architecture of the region. 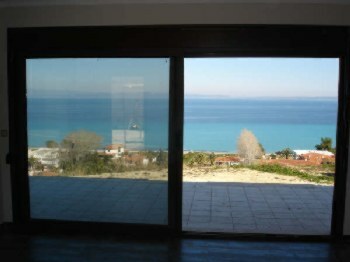 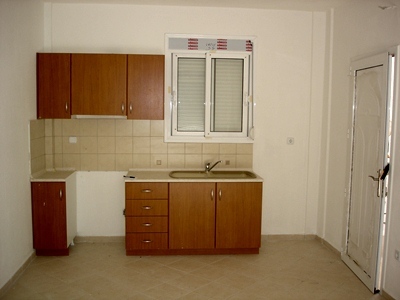 Apartment in very good location, directly in front of the sea with private garden plot. 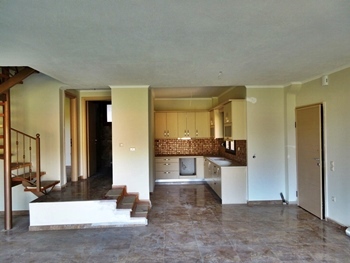 Has a living room-kitchen, two bedrooms and bathroom. 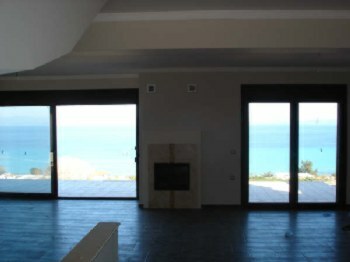 The view at the sea is amazing and has also fire place and BBQ. 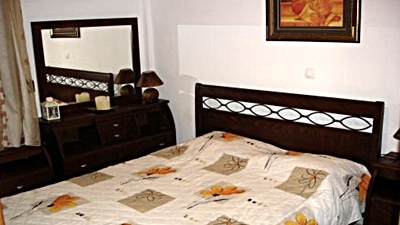 Price includes all the furniture and the electric appliances in perfect condition. 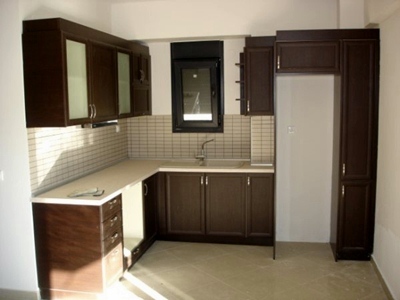 Is close to shopping and entertainment facilities of the town. 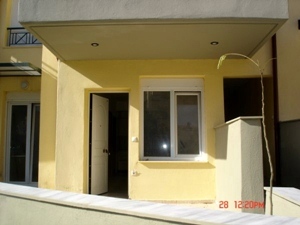 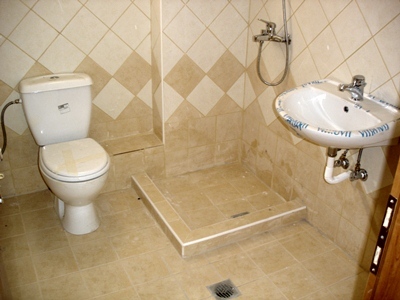 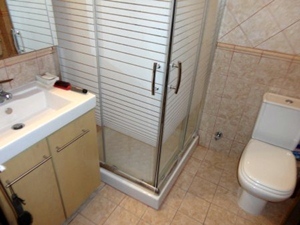 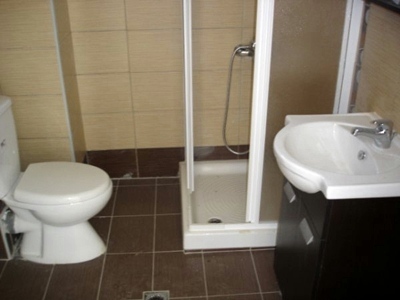 Year of construction : 2006: Building area: 55 sq mts : Bedrooms: 2. : Distance from the centre of town: 400 m.
This ground floor apartment is 45 square metres in size, has one bedroom, a living room / kitchen and bathroom. 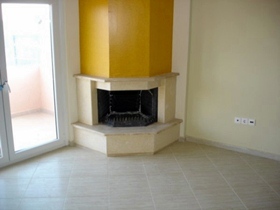 It also has a fireplace. 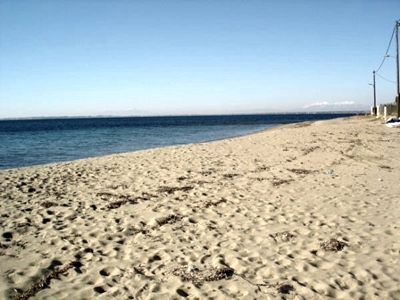 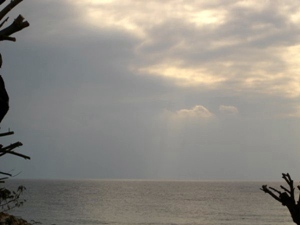 The distance to the sea is only 150 metres. 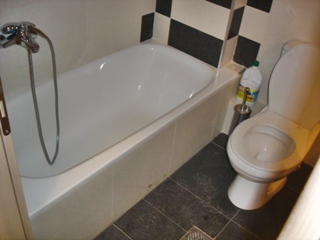 This new ground floor apartment has two bedrooms , living room / kitchen and a bathroom, it has a private garden plot and a parking area, and is close to the centre of the village. 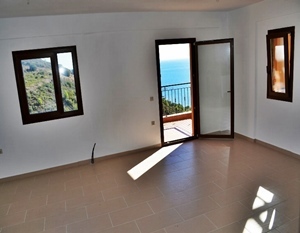 This new first floor apartment with sea view has one bedroom , living room / kitchen and a bathroom, private garden plot and a parking area, air conditioning, and a fridge. 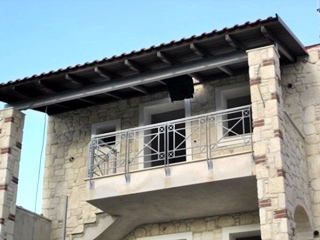 This new ground floor apartment has one bedroom , living room / kitchen and a bathroom, private garden plot and a parking area, air conditioning, and a fridge. 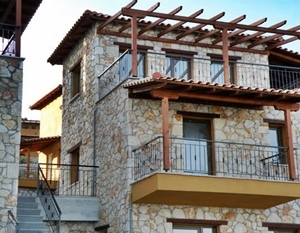 This new first floor apartment around 60 square metres with two bedrooms, living room / kitchen and a bathroom, it is very close to the centre of the village and has a parking area, fire place and balcony with village view. 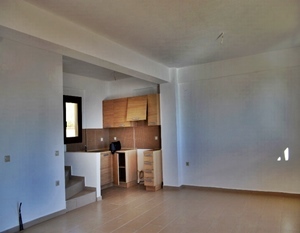 This first floor apartment has 2 bedrooms, living room - kitchen and bathroom. 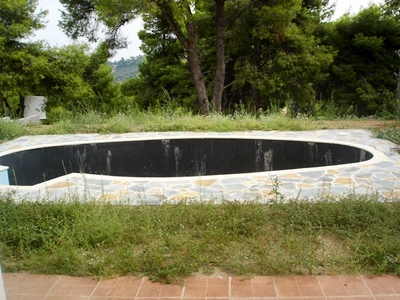 Price 85,000 Euros. 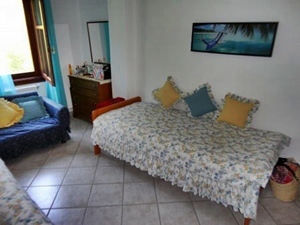 Apartments on the first floor and ground floor of the building around 50 metres from the good sandy beach . 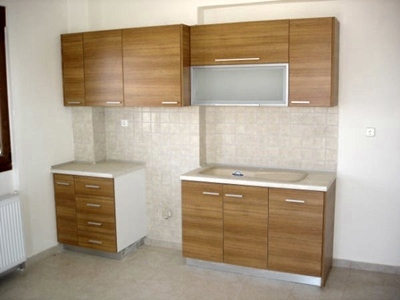 with 2 bedrooms, living room - kitchen and bathroom. 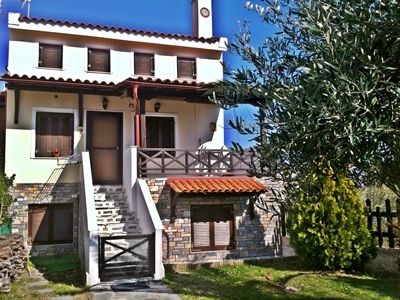 On the first floor is a balcony with sea views and the ground floor has a private garden plot. 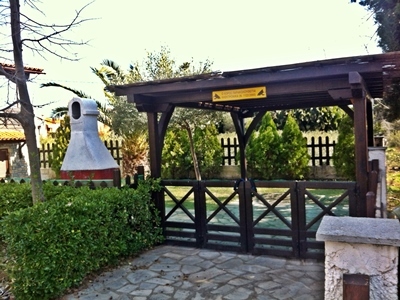 Both have private parking area and a fireplace. 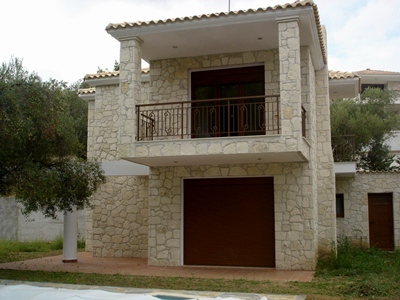 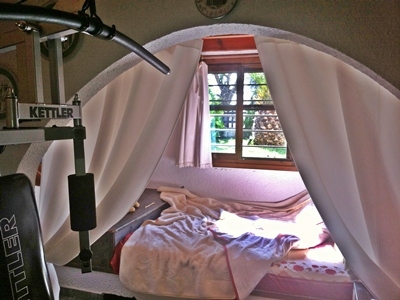 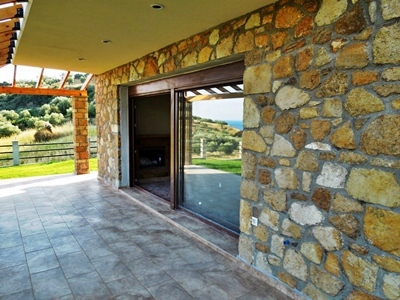 This 210 square metre house is in Sithonia and only 150 metres to the beach. 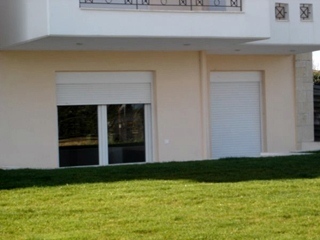 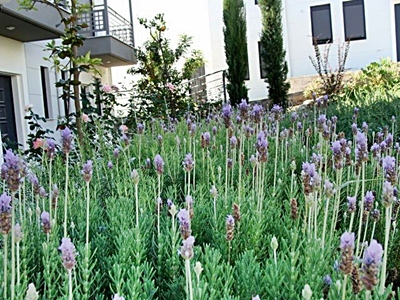 It has a private plot of 800 square metres and a parking area. 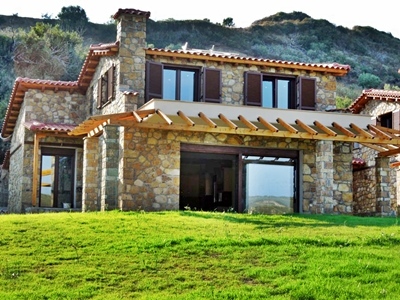 It has 5 bedrooms , 3 bathrooms, and a big kitchen living room. 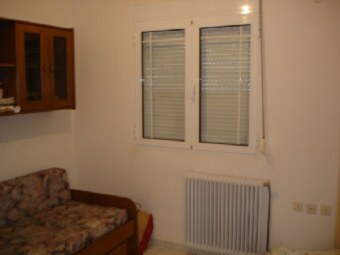 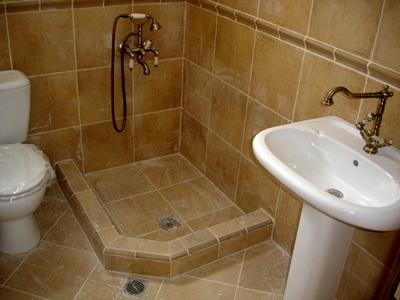 The apartment is approximately 70 square metres in area with 2 bedrooms, a living room - kitchen and bathroom. 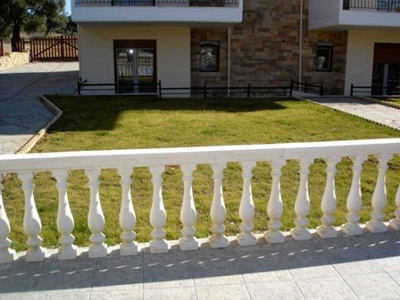 Out side the apartment has a balcony with village view. 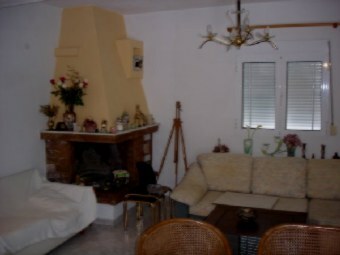 The living room has a fireplace and the building has a garden for the use of all the owners. 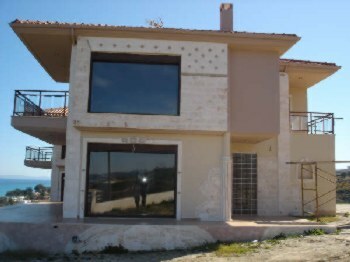 The quality of the construction is very good and it is close to shopping and the entertainment facilities of the village. 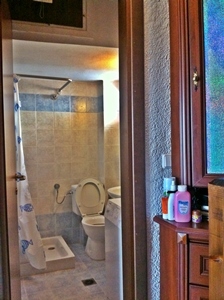 This apartment is on the first floor of the building and is 64 square metres in area and with 34 square metres on the ground floor, with parking area and store room.. 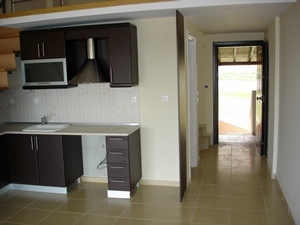 It has 2 bedrooms, a big living room - kitchen and bathroom. 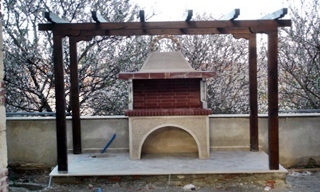 Once again very good quality of construction. 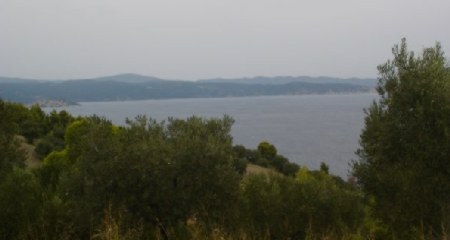 It is close to the centre of the village. 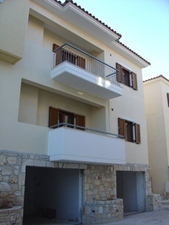 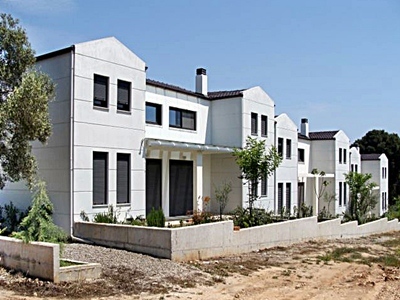 This new detached maisonette built in 2010 has two floors and an area of 110 square metres. 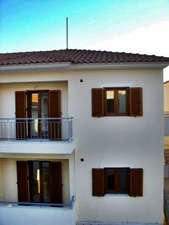 On the ground floor is a living room, kitchen, bathroom and a store room. 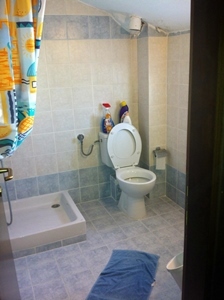 The First floor has 3 bedrooms and a bathroom. 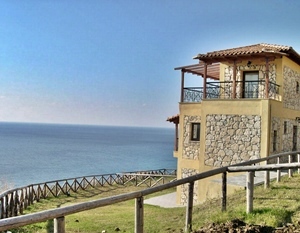 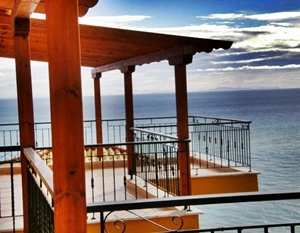 Outside is a balcony with views of the sea and the surrounding forest. 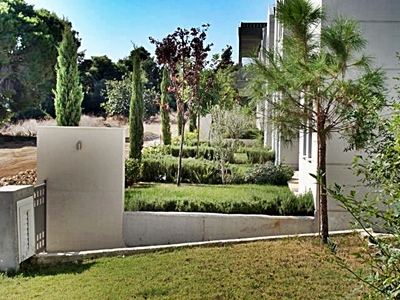 It also has a private garden plot, a private swimming pool, a parking area and another store room outside the house. 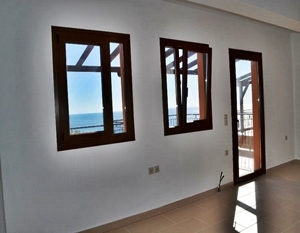 This new apartment is situated on the second floor and has a large balcony with wonderful views of the sea and the mountain. 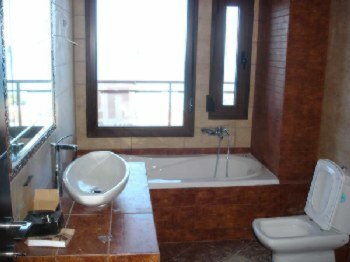 It has two bedrooms, a living room - kitchen and a big bathroom. 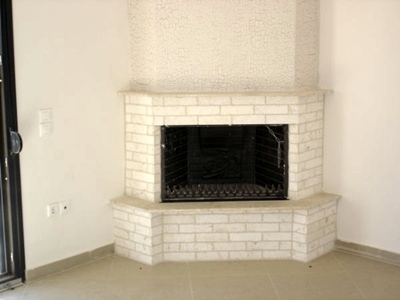 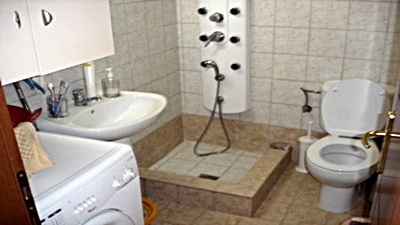 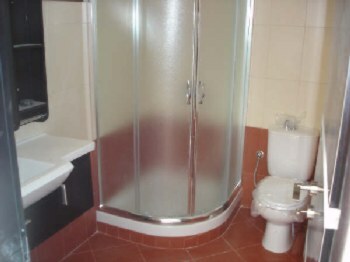 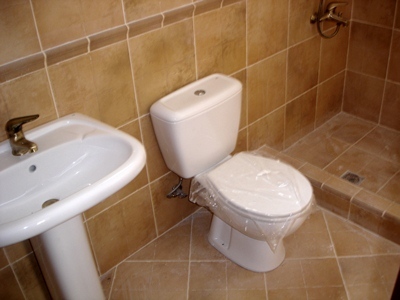 It has very good quality of construction and comes with a fireplace and parking area. 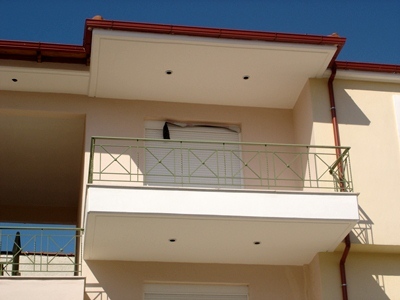 This new apartment is situated on the second floor and has a distance to the beach of around 100 metres and has its own parking area. 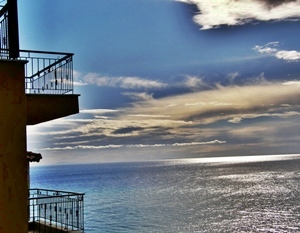 The outside balcony has a lovely sea view. 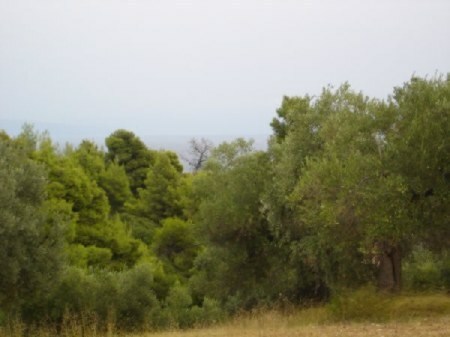 The site of the project, has the lowest relative humidity and a dry climate. 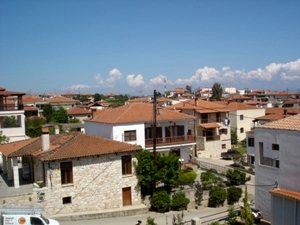 Koumaros is a fishing village, possibly the only one in Kassandra which has maintained its colour intact, as well as its picturesque charm, its quiet, its aesthetics of space and the relevant architectural identity. 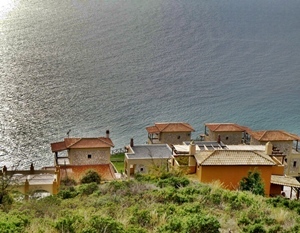 It has a small harbour, fish tavernas, all basic supplies and is renowned for its spas. 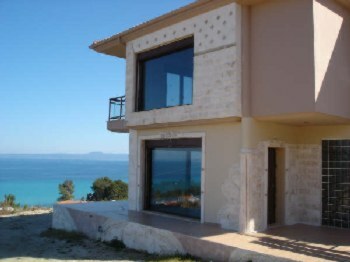 Nothing can be built near or in front of it. 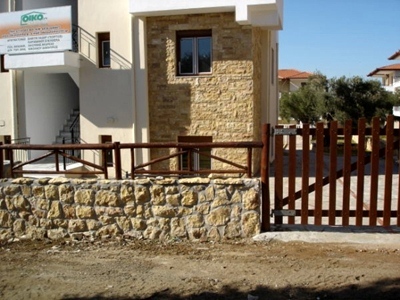 The only road leading to the settlement was exclusively created to serve its needs, so that residents would not be bothered by any access or traffic road. 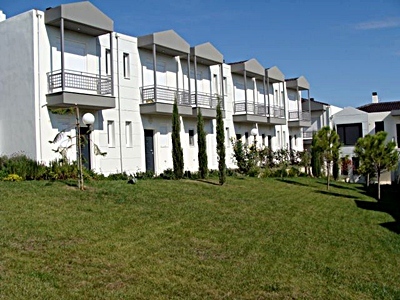 The residences have nothing in common with apartments. 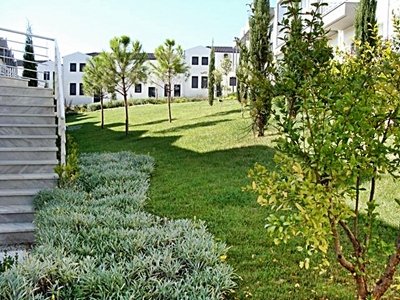 They are all independent villas-maisonettes offering residents a unique freedom of movements in a private space. 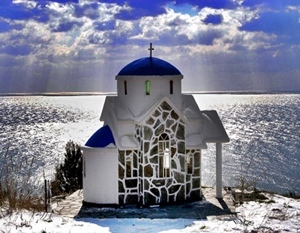 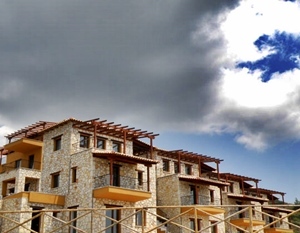 The nearby spas, one of the most important in Greece, represent a large state investment. 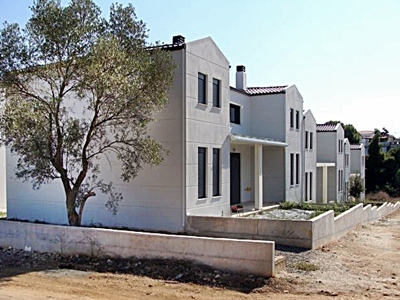 Antiseismic construction, according to the legislation in force on armed concrete : German frames with double panes and special insulation : Double walls with thermal insulation : Excellent plumbing equipment with special plastic tubes. 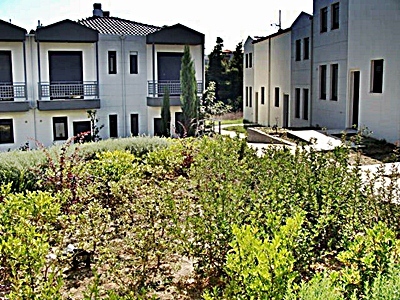 Water supply in the garden for automatic watering and on every veranda : Ten-year guarantee for water insulation of the house : Excellent electrical installation, fitted in the walls, with special outlets for Telephone lines in every area : TV connection in every area and in the verandas : Air conditioner line : Automatic connection with generator in case of black-out, with automatic switch. 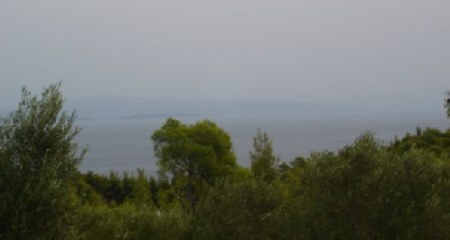 BACK TO HOME PAGE HALKIDIKI PAGE 1.